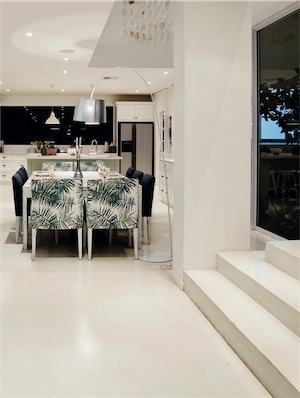 Concrete floors do not have to be drab and grey. Oh No! 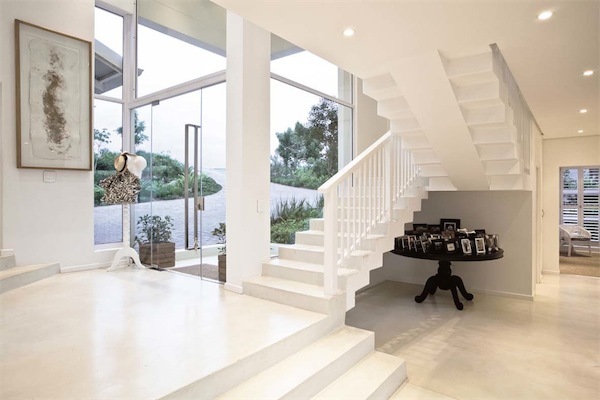 There is a South African company that manufactures and supplies specialised coatings especially for you to give your floors that million dollar look. Fairly easy to mix and to apply it is also a cost effective finish for your concrete floor. The finished floor if applied to the manufacturers specifications is hard-wearing and easy to clean and maintain. Below is a good-looking selection of pictures of floors finished with CreteCote and with FloorCrete in settings from home entrance halls to kitchens, dining rooms and corporate entrances. The colour selection is extensive and will suit your creative needs. The manufacturer recommends that CreteCote is best applied at temperatures between 8oC – 220C. The concrete screed must be smooth and level and well cured for at least 7 days and dry and dust-free. Do not apply under windy conditions, in direct sunlight or on to hot surfaces as this will expose the product to rapid moisture loss. The product is supplied in a twin-pack and is best mixed mechanically, this can be done with a power drill fitted with a mixing paddle. The mixture is then steel trowelled onto the surface with smooth strokes to a thickness of 1.5mm. When the layer is dry and within 24 hours any streaks or marks left by the trowel can be sanded off with an orbital sander or by hand with a sanding block using a 80 – 100 grit sandpaper. More layers may be applied if necessary. 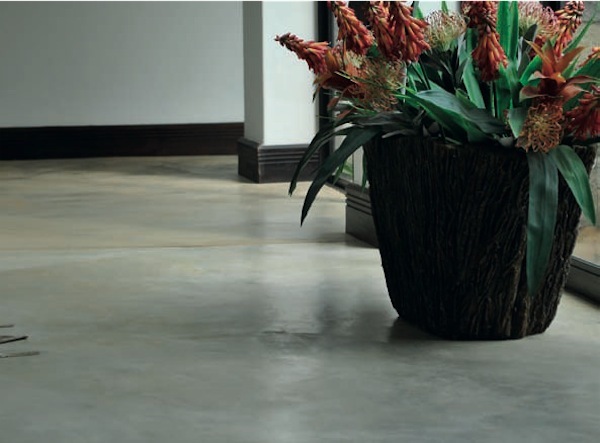 CreteCote is a coloured, cement-based floor covering which is versatile, durable and waterproof. 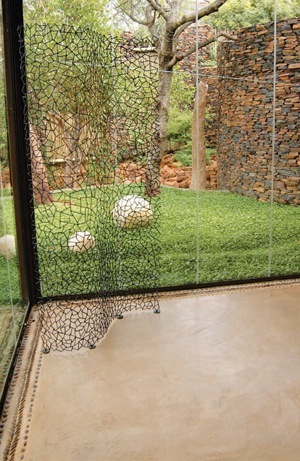 It produces a 1.5mm smooth decorative finish for both interior and exterior surfaces. CreteCote is suitable for application onto wood or steel floated concrete floor slabs or screeds. Its purpose is to provide a durable, attractive, smooth and economical floor covering for new and existing surfaces that is versatile, convenient to use and easy to apply. Suitable for all rooms in the house. A hardwearing floor for a corporate entrance. The pattern and shading creates a painted look. FloorCrete is a coloured, cement-based, self-levelling floor covering for application onto rolled or wood-floated concrete floor slabs or screeds. It produces a 2mm smooth, decorative layer that is unaffected by rising damp. For interior use only. Its purpose is to provide a durable, hard wearing, economical, smooth, attractive natural mottling alternative to tile or carpet floor coverings. 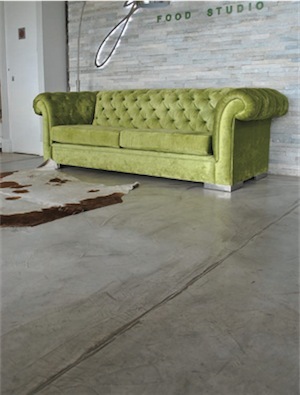 Colours available that will blend in with most decors. 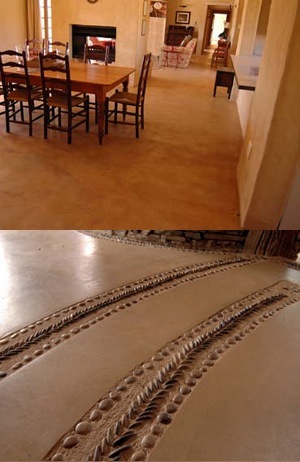 Decorative elements can also be incorporated into the floor. Viv we do not have customers! We simply offer information and advice. All contact details of the company I’m question are given in the article, and since we are not in any way affiliated to the company, we are not in a position to provide prices. It’s as simple as that. 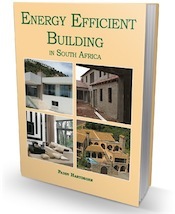 If you bother to read to the end of the article you will see that there are contact details for Gauteng. We do not supply any building materials or services! Please contact me regarding prices.